Homeowners might think they’re in the clear from deer damage on lawns and gardens after summer has ended, but that couldn’t be further from the truth. In fact, deer are more persistent to eat from home gardens in the fall and winter seasons, as they know that this is their last chance to eat fresh fruits, veggies and flowerbeds from garden areas before turning to twigs and leaves. While gardeners are worried about their gardens being destroyed by white-tailed deer, they fail to consider other troubles that deer bring, such as ticks. Ticks are a year-long health concern for people, pets and wildlife that cause years of debilitating pains, loss of mobility and overall grief. They are found in wooded and grassy areas across the United States and Canada. If temperatures stay above freezing (32 degrees Fahrenheit), ticks will leave hiding to pursue a warm-blooded mammal for their next blood meal. During the cooler months of the year, ticks tend to seek warmth and shelter underneath leaves, firewood and the fur of animals. While we are quick to fault the white-tailed deer for the tick epidemic in North America, they are not the culprits for the initial spread of tick diseases. These small mice do not hibernate in the winter and will continue to be a nuisance during colder months. Deer carry and spread ticks with Lyme disease and other tick-borne illnesses, but the white-footed mouse reserves the bacterium that causes Lyme disease. Researchers believe that the spread of tick diseases began with the white-footed mouse spreading ticks with Lyme to birds migrating to regions and passing the ticks onto deer and other mammals. However, since white-tailed deer are the major carriers of ticks in the United States, the white-footed mouse walks away guilt-free. Who is at risk of tick bites? Ticks must eat, like other classes of Arachnida, and some are more aggressive towards humans, pets and livestock than others. While there are over 850 tick species in the world, only 90 are found in the United States (we only hear about five main tick species). Each year, it’s estimated that 300,000 individuals are infected by a tick bite. And we cannot forget about our four-legged friends. In fact, so far in 2018, over 4 million dogs have been tested for Lyme disease and 244,000 with confirmed Lyme disease. The Eastern black-legged tick, also known as the ‘deer tick,’ is quick to attack humans. It has received its name for being found along the East Coast on white-tailed deer, most notably in New England. This tick does carry many bacterial diseases including Lyme disease, babesiosis, ehrlichiosis and anaplasmosis. Even the lone star tick has become a national headliner for its new link to causing red meat allergies in humans. The tick received its name not for originating in Texas but for the recognizable white dot on its shell. This tick is very aggressive towards humans and pets. Speaking of pets, beware of the American dog tick. While the dog tick will attack humans, it prefers pets as its primary meal choice. 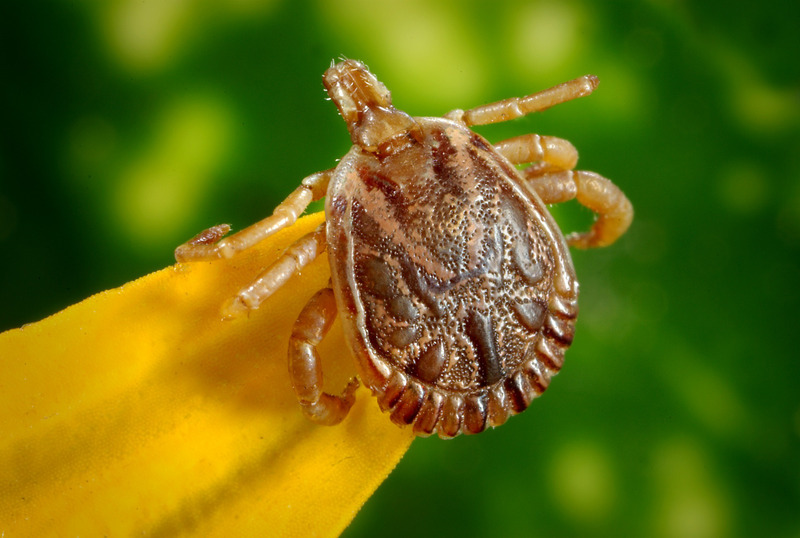 This type of tick carries harmful tick diseases including Rocky Mountain spotted fever and tularemia. We know that ticks are a major concern for homeowners, especially as they start planning their landscapes for the next year, but how are landscapers expected to keep deer away from yards? The answer is quite simple: keep deer away. Think of it as a fun rhyme: if we can keep deer away, we’ll keep ticks at bay. There are three main ways to rid deer from yards, and thus, reduce the sight of ticks: Apply deer repellents and tick sprays (good solution), plant deer-resistant flowers (better solution) and install deer fencing (the best solution). At first glance, deer repellents sound like a quick fix, but they are not the best solution for deer management and tick control. Granted, organic repellents for deer are affordable and easy to use, but they are not hassle-free. In fact, they require the most maintenance out of all the solutions for deer control on landscapes because the smell that repels deer vanishes after heavy rain, extreme heat and snow. Best case scenario: deer repellents may last up to 30 days on lawns in perfect conditions. Some deer repellents are not all pet-friendly. Check the ingredients list before purchasing to see if the granular or liquid formula contains organic matter such as eggs, garlic and essential oils. If they do, then they will not harm pets. Some deer repellents and chemical tick sprays that are applied to lawns can make domestic animals very sick. Use tick sprays that only contain organic matter such as peppermint, cedar, thyme and lemongrass. Like us, deer can be picky eaters, and if they smell or taste something they do not like, they are less likely to approach gardens. Remember, deer enjoy the smell of sweet-tasting plants. To keep deer away from your clients’ landscapes, you should plant strong odor plants including: marigolds, daffodils, iris, geraniums and hibiscus. 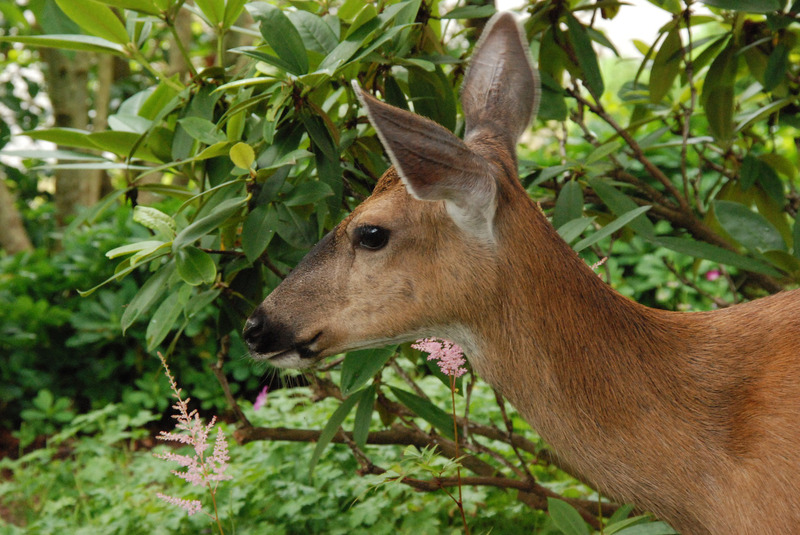 It is best to use deer-resistant plants as a secondary barrier around gardens, as deer will nibble on the plants before leaving the garden area. 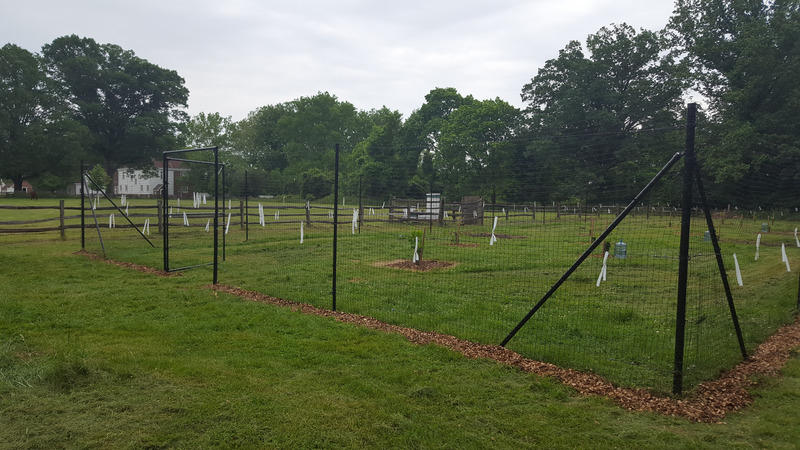 According to the National Center for Biological Information, a division of the National Institute of Health, the use of deer fencing has been proven to reduce the risk of Lyme disease by 83-97 percent. While building a deer fence is more of an investment than purchasing deer repellents and tick sprays, deer fencing is lower maintenance and is a reliable method for keeping wildlife away that may be carrying ticks. While there are many types of fencing on the market for lawns and gardens, the best type of deer fence is made from either polypropylene or steel. The word “plastic” has a negative connotation attached to it, but don’t let the name fool you. This type of fence mesh is durable with breaking strengths ranging from 650 lb/sq.ft. to 1,400 lb/sq.ft. Although this material is not chew-proof, it is strong enough to stop light to moderate deer pressure and will last up to 20 years in the field with general garden maintenance. Metal deer fencing is better suited to stop wildlife that may try to chew or dig their ways into lawns and gardens. This type of fencing is recommended for heavy deer pressure and serves well as a rodent barrier. Even backyard chicken owners choose to use steel fencing to protect poultry against coyote attacks. When choosing metal fencing, choose one that contains PVC-coating as a secondary layer of protection against chew marks. This type of fencing is not only virtually invisible and aesthetically pleasing on turfs, but it is guaranteed to last between 20-30 years in all weather conditions. The best method to reduce the risk and spread of ticks on properties throughout the year is to rid the main source: deer. While some deer management strategies are more effective than others, choosing to perform any of the suggested strategies will help protect customers and their and pets from the risk of Lyme disease and other tick-borne illnesses. EDITOR’S NOTE: This article was written by Jennifer Smith with Deerbusters Deer Fence. DeerBusters has been leading the fencing industry for over 30 years with reliable DIY garden fence in poly and metal fence materials for homes, farms, forests, colleges, orchards, vineyards and gardens. Do You Need the Konnex ET15 Survival Shovel? Ape Make Copyright © 2019.